A maze of pretty, medieval alleyways; the epitome of authentic Roman charm – Trastevere is a must-visit Roman neighbourhood for its quaint beauty and traditional atmosphere. Trastevere literally means ‘’beyond the Tiber’’ and is separated from Rome’s historic centre by the meandering course of river Tiber. This neighbourhood gives the feeling of a small, picturesque town secluded from the hustle and bustle of the capital. 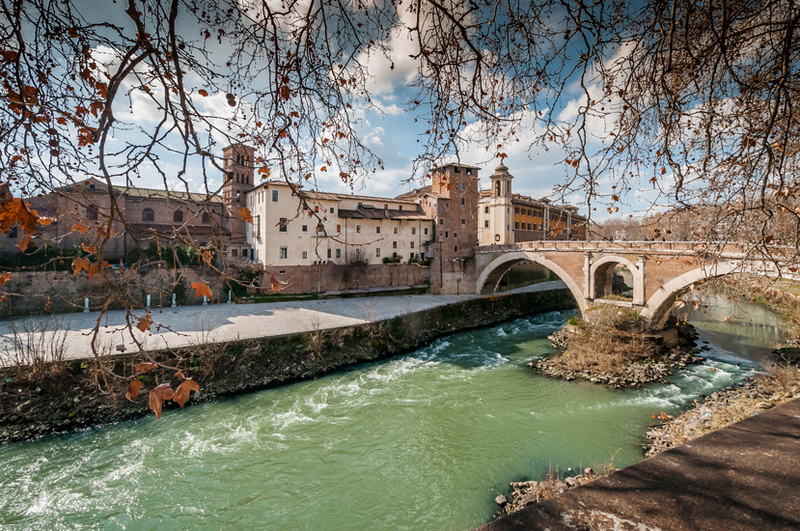 With its great culinary scene, delightful nightlife and thriving handicrafts market, Trastevere offers a unique and rewarding day out to tourists! Additionally, there are some amazing treasures that can make your daytime more engrossing! Janiculum Hill: The vista from Janiculum Hill is matchless, particularly during sunset. You might remember this peak from the opening scene of the movie ‘’La Grande Bellezza’’. 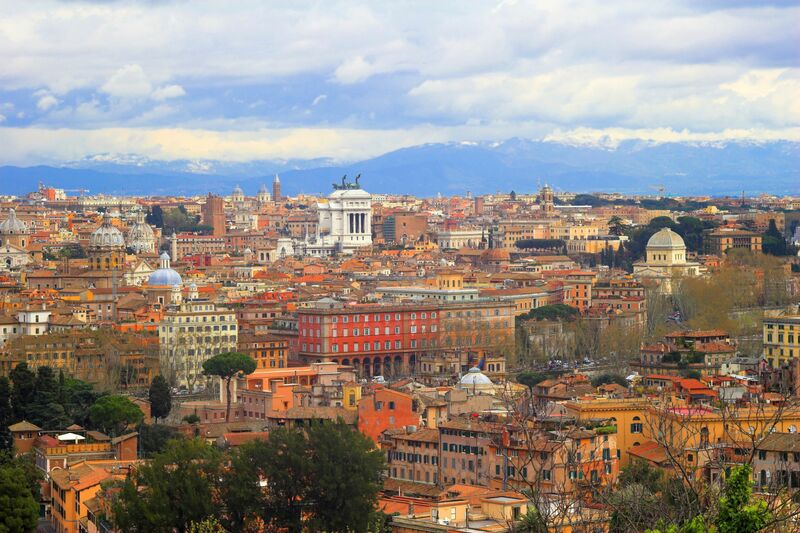 The location is great for soaking up panoramic views of the eternal city. Besides the enthralling view, there’s also a magnificent baroque fountain called Acqua Paola Fountain, which is a popular spot for photography. After the long uphill walk, you’ll be delighted to spot local stalls selling refreshing drinks! 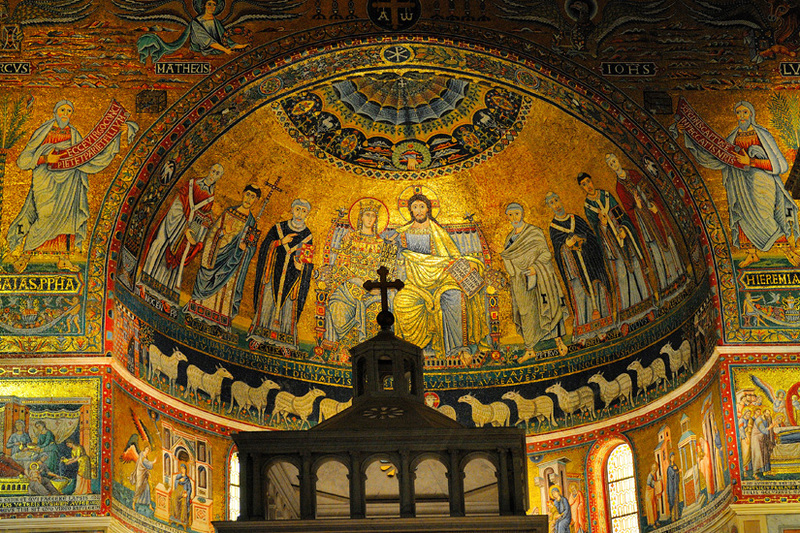 Church of Santa Maria: Built in the 3rd century, this beautiful basilica is one of the most ancient churches in Rome. The major attractions of this basilica are its classic architecture, shiny mosaics and the legendary spot from where oil sprung up on the day Christ was born. Villa Farnesina: One of Rome’s overlooked gems, Villa Farnesina is a pretty Renaissance villa decorated with Raphael’s artworks. 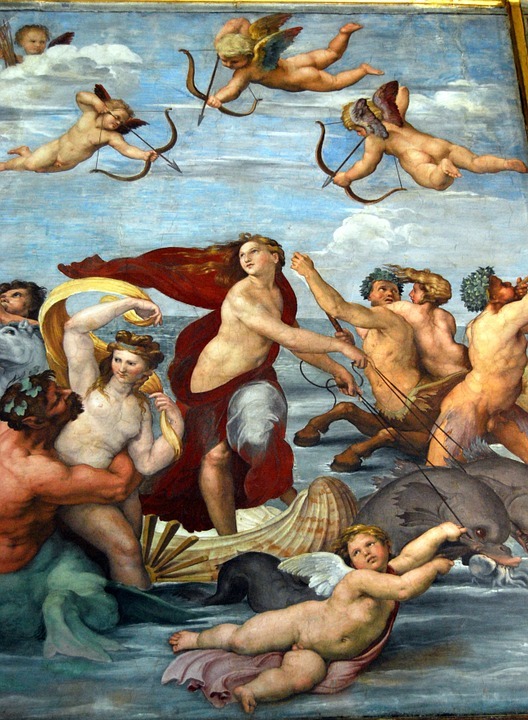 Spending only 6 Euro as entry-fee, you’ll unlock a fascinating collection of art, the best ones being ‘’Triumph of Galatea’’ and ‘’Cupid and Psyche’’ by Raphael. Orto Botanico: Trastevere’s botanical garden is a refreshing, green oasis offering serenity and relaxation. 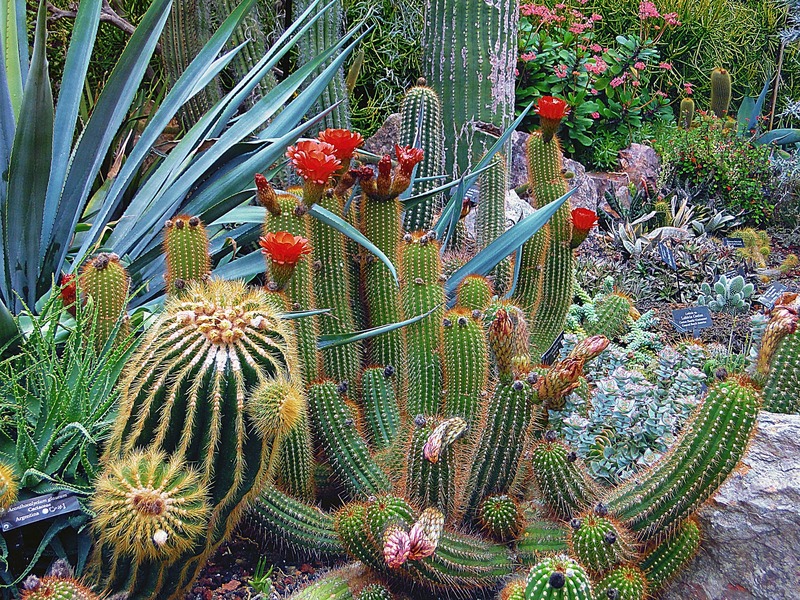 With an exotic flora collection that includes sensory herbs, carnivorous plants, rose grounds, a tropical greenhouse and bamboo grove, this blooming garden is sure to amuse plant lovers! La Gatta Buia: A family-run, traditional restaurant that has even bagged awards for its incredible food and unique ambience. Originally an ancient prison, the restaurant still keeps the feeling intact through its decor, which consists of relics, tools, scrolls and the actual brick ceiling. 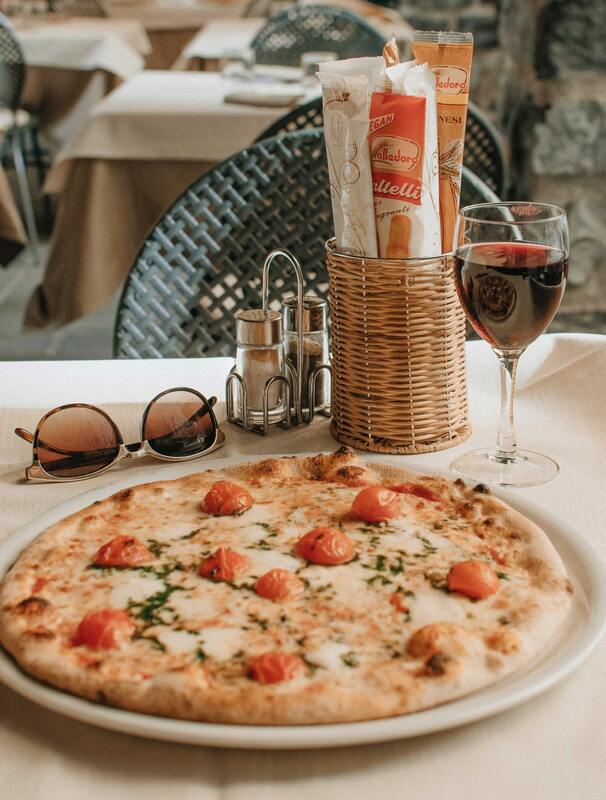 As you devour classic preparations like Amatriciana and Puttanesca pasta at very reasonable rates, the fascinating interior of this place will make your dining experience more exciting! 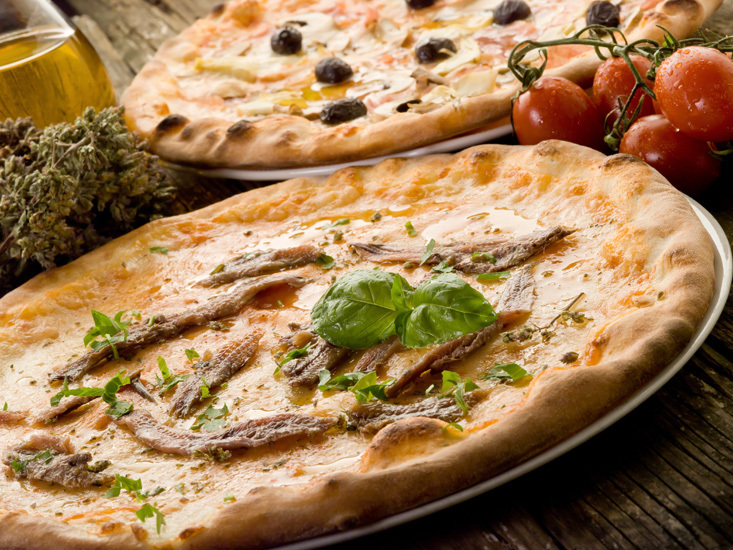 Pizzeria Ai Marmi: Want to relish typical, Roman-style, thin-crust pizza with lip-smacking toppings? Hit this reputed, local restaurant that is always packed with Roman families. There might be a queue outside, but the yummy, classic food is worth the wait! Gelateria del Teatro: What can be a better dessert during your afternoon stroll through Trastevere than a luscious gelato?! This gelateria is preferred because of the availability of both timeless as well as creative, funky flavours! So you can select a quirky flavour, like rosemary or crème brûlée along with a classic, like stracciatella! 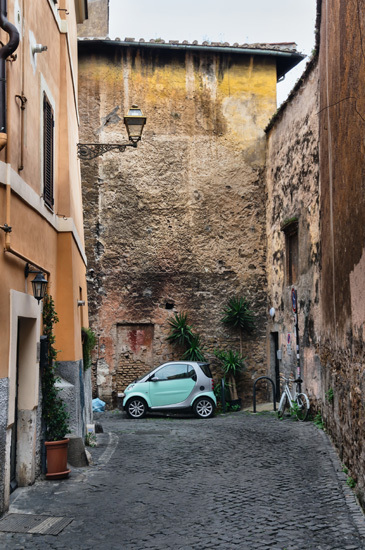 Trastevere neighbourhood is a photographer’s delight! It is an attractive warren of old-world buildings draped in lush ivies. The cobblestoned streets are lined with colourfully-flowered balconies and crisscrossed by ropes full of hanging laundry. You’ll encounter something eye-catching at every step – antique facades, vibrant graffiti and cosy osterias – it’s difficult to capture a bad picture here! 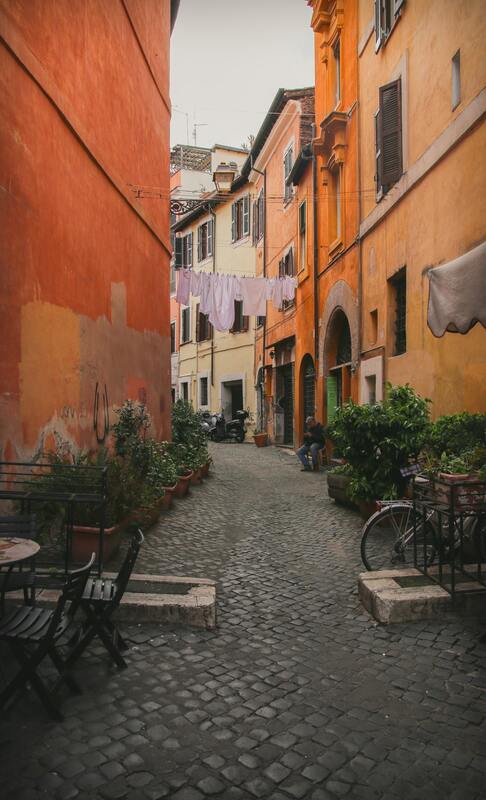 Trastevere’s lanes are always bustling with activity and merriment! When the sun is up, cafes and local restaurants are brimming with sounds of people chatting in all languages, the clank of cutlery and delicious aromas! At sundown, outdoor bistros are replaced by fun bars and clubs that pulsate with groovy music and cheerful fervour till wee hours of the morning! All in all, Trastevere is the perfect location to enjoy la dolce vita! Some popular places to experience the great nightlife of Trastevere are Freni e Frizioni, Ma Che Siete Venuti a Fà and Cioccolata e Vino. 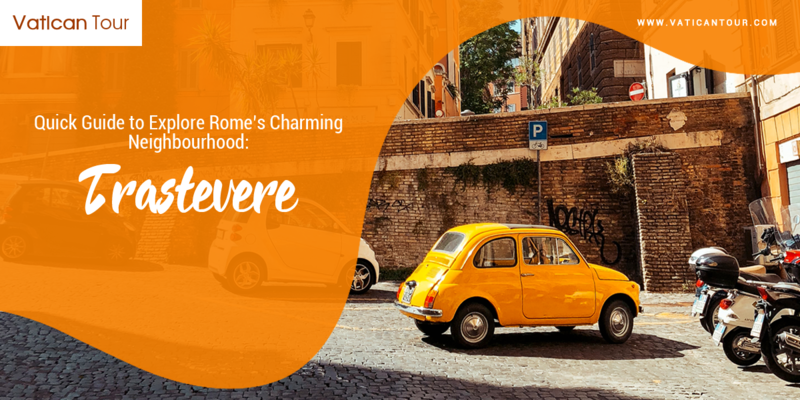 After exploring the cool Trastevere neighbourhood, you’ll be expecting the same kind of thrilling and authentic experiences from all your trips in Rome. For that you must get in touch with Vatican Tours. Our best Vatican City tours allow you to enjoy the masterpieces all to yourself, while our expert guides make the history come alive!